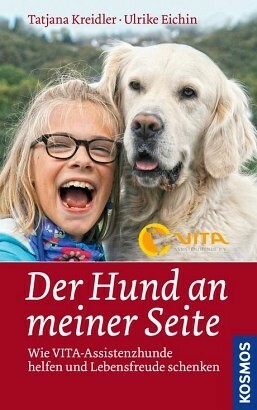 Product information "Der Hund an meiner Seite"
Tatjana Kreidler showcases her astonishing assistance dogs: four-legged carers who open doors, retrieve mobile phones, empty washing machines, turn on light switches, run alongside the wheelchair, get help. The graduate social worker and senior instructor trains Retrievers as assistance dogs for the disabled. 30 volunteers on four paws have been trained to assist human partners team, for a new life together. In this book, small and large miracles of how assistance dogs help their owners are described using theory and numerous heart-warming case studies.